PLEASE NOTE! Motorclaimguru in no way works for, or on behalf of the Motor Insurance Bureau, or the MID, the information below is for consumer assistance only, and to direct you to what options are available. We do not carry out services similar or the same to theirs, and if any one does contact you claiming too, contact the MIB/MID and report them. MIB was established in 1946 to compensate the victims of negligent uninsured and untraced motorists. Every Insurer underwriting compulsory motor insurance is obliged, by virtue of the Road Traffic Act 1988, to be a member of MIB and to contribute to its funding. The Motor Insurers’ Bureau is a company limited by Guarantee registered in England and Wales under company number 412787 whose registered office is at Linford Wood House, 6-12 Capital Drive, Milton Keynes MK14 6XT. MIB Group The MIB Group consists of the Motor Insurers’ Bureau and subsidiary companies Tracing Services Limited, MIB Management Services Limited and MIB Portal Services Limited. Through these subsidiaries, in addition to managing CUE (Claims and Underwriting Exchange), MIAFTR (Motor Insurance Anti-Fraud & Theft Register) and the Claims Portal, they also provide management services to the Employers’ Liability Tracing Office (ELTO) and support services to the Insurance Fraud Bureau (IFB). MIB Group consists of the Motor Insurers’ Bureau and subsidiary companies Tracing Services Limited, MIB Management Services Limited and MIB Portal Services Limited. Any company offering motor insurance in the UK must be a member of the Motor Insurers’ Bureau. As a member they will contribute to the MIB levy and supply data to the Motor Insurance Database. The mib website contains their member list of valid UK motor insurers. 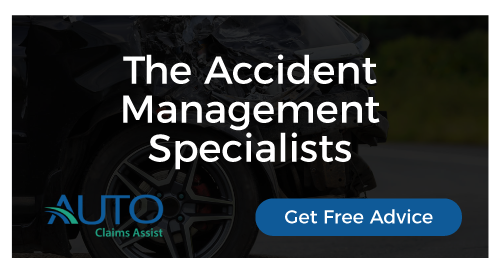 Been involved in a motor accident with an uninsured/untraced driver? The Motor Insurance Database (MID) is the central record of all insured vehicles in the UK. Managed by MIB, the MID is used by the Police and the DVLA to enforce motor insurance law – ensuring that vehicles driven on our roads are insured at all times. For more information about Continuous Insurance Enforcement law and to check your vehicle has a valid insurance policy on the MID, visit askMID.com. PLEASE NOTE! Motorclaimguru in no way works for, or on behalf of the Motor Insurance Bureau, or the MID, the information above is for consumer assistance only and to direct you to what options are available.